This post is sponsored by General Mills, but all opinions are my own. 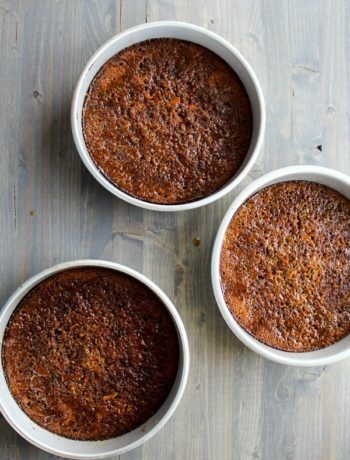 There are fun holiday recipes and there are also easy holiday recipes. This recipe for Snowman Christmas Cookies is BOTH. 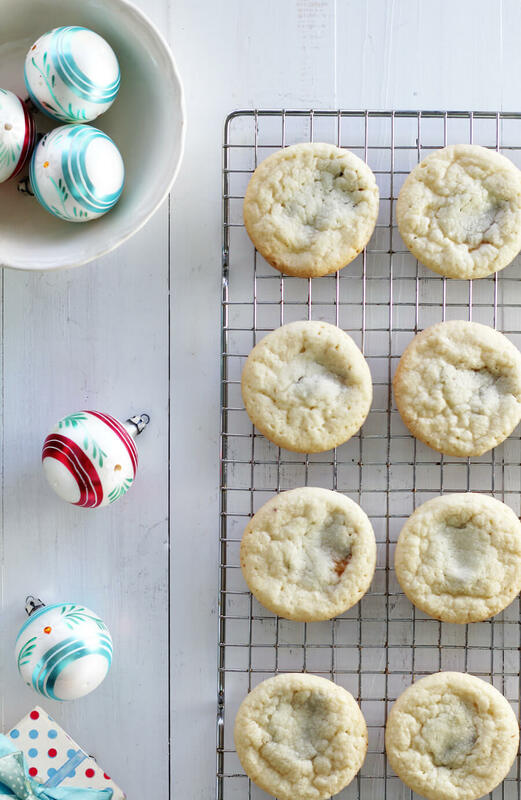 Cookies + holidays go hand in hand, and this is a delicious twist on a classic sugar cookie. 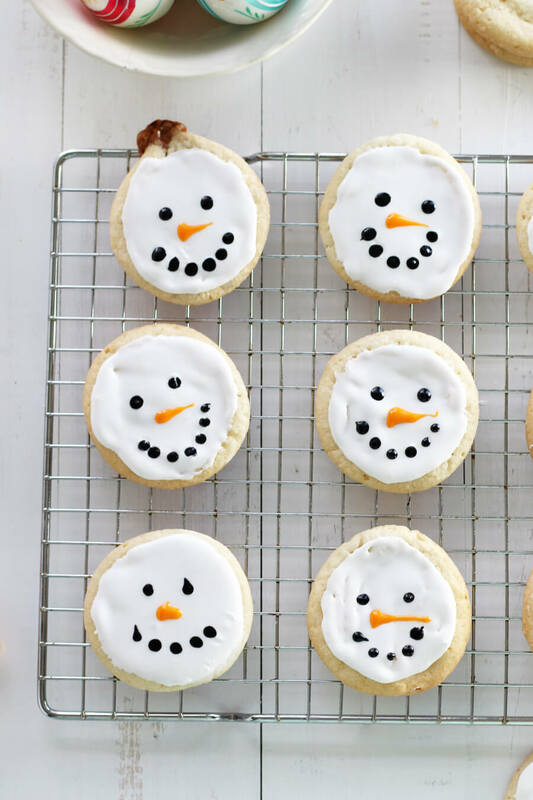 So put on your happy faces and let’s build snowman cookies. p.s. This cookie isn’t just a pretty face. He’s got a surprise inside! Snowman Christmas Cookies…with a surprise! The winter holidays are my favorite time of year. From Thanksgiving to Christmas through New Year’s Eve and everything in between, this is the most magical time of the year. But it takes a lot of helpers to make the magic happen. Helpers plus an awesome place like Sam’s Club. We shop at Sam’s to take advantage of seasonal specials on food items that we are going to need during the season. And yes, we NEED cookies. 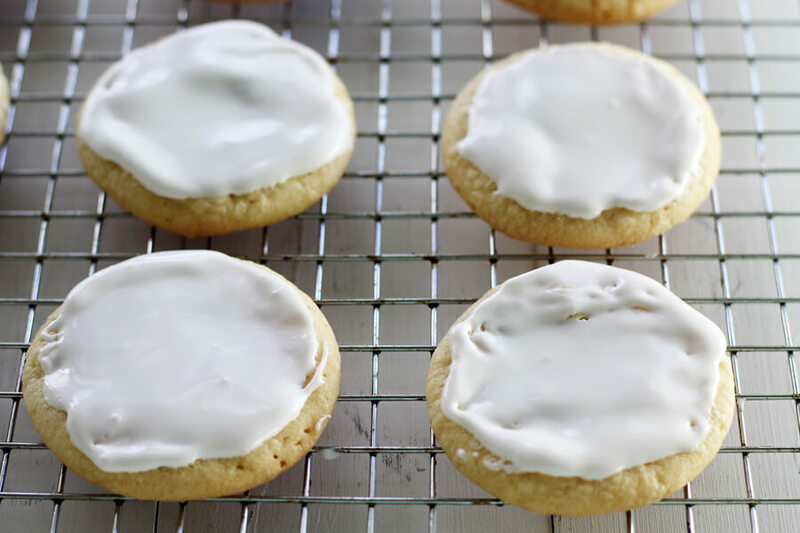 With all the school parties and Christmas gatherings that happen this time of year, having plenty of Pillsbury™ Ready To Bake!™ refrigerated sugar cookies is my secret weapon. From fridge to oven, they are ready to go when I need them. Pillsbury™ Ready To Bake!™ refrigerated sugar cookies – You can find these in the refrigerated section. Caramels – I promised you there was a secret! Cookie Icing – Use your favorite homemade or store-bought variety. Here’s a link to a great one from Pillsbury. 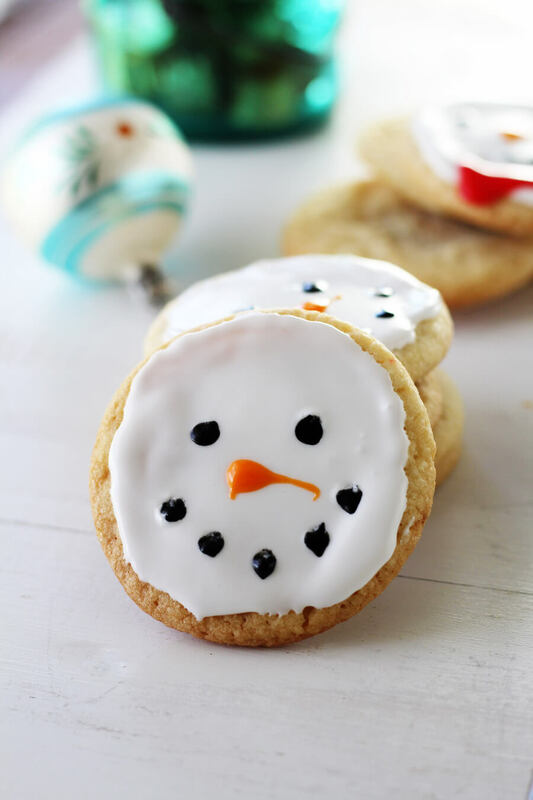 Anyone, including the kids, can whip up a batch of these yummy snowman Christmas cookies. Preheat your oven to 350 degrees. See package directions for more information. 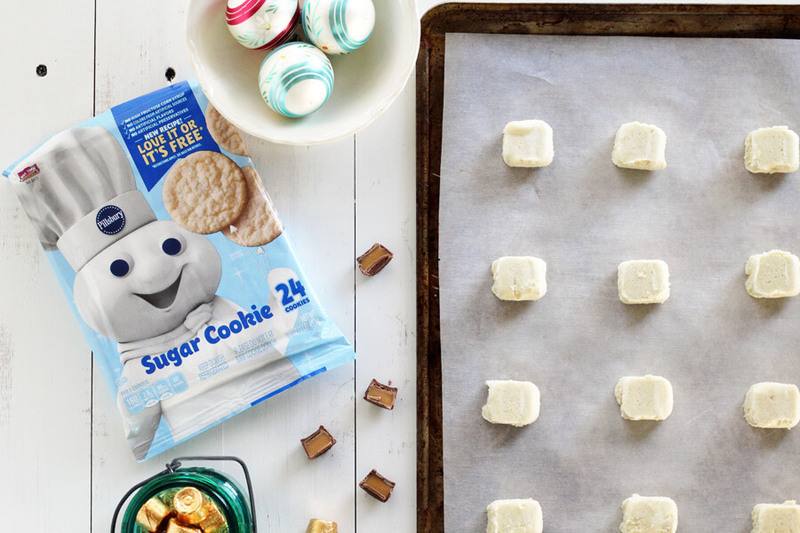 Place a caramel piece in the center of each portion of Pillsbury™ sugar cookie dough. Using your hands, gently form a ball around each caramel, completely covering it on all sides. 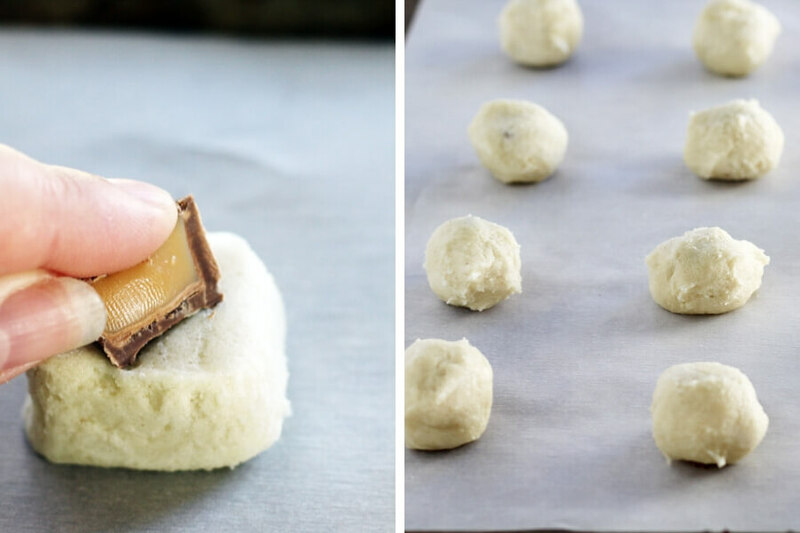 Arrange the caramel-filled sugar cookie dough balls 2 inches apart on a parchment lined baking sheet. Bake for about 12 minutes. See package directions. Cool on the pan for 5 minutes. Transfer to a wire cooling rack and cool completely. I love the way these cookies taste. You get the classic chew of a buttery sugar cookie with a gooey caramel layer inside. So good. They are perfect just like this. Right out of the oven with no frosting. However, Christmas is all about making memories and having fun. And what is more memorable than an adorable snowman? 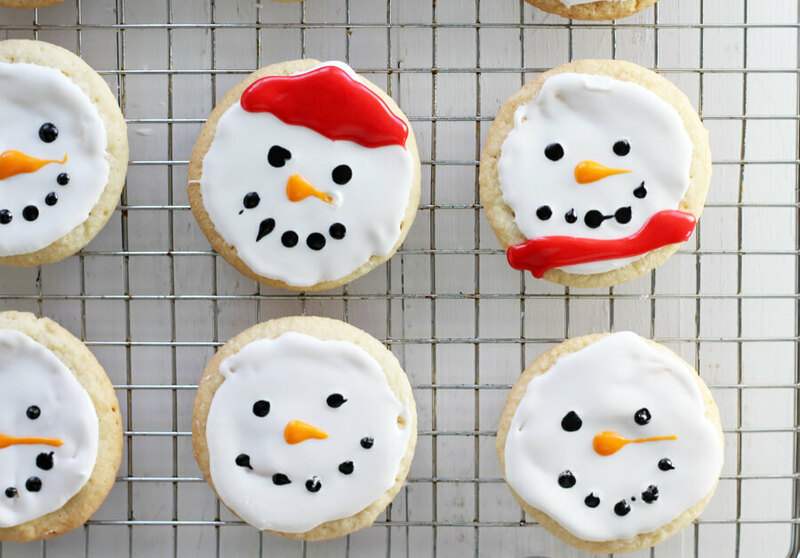 Using your favorite cookie icing, fill in the snow-covered faces of the snowmen. You can do this with a piping bag or knife. 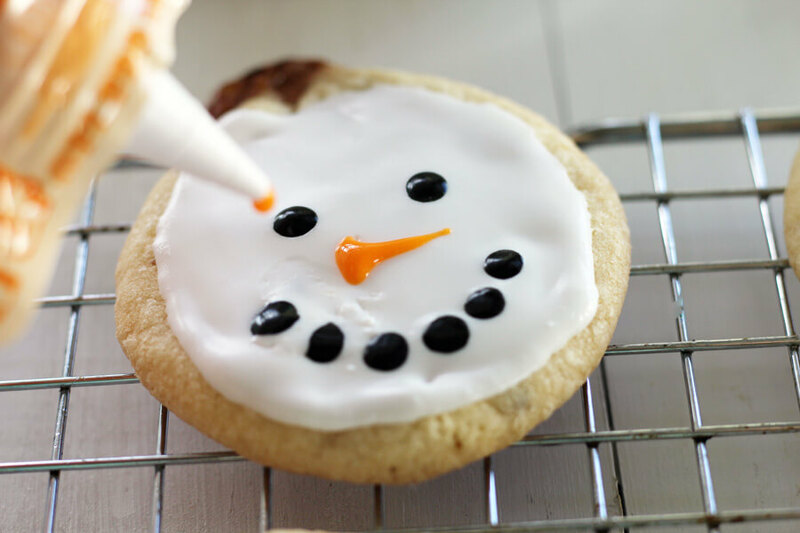 Using black colored icing for the “eyes of coal” and bright orange for the “carrot nose”, add details to your snowman Christmas cookies. Look at all of these facial expressions. They seem to take on a life of their own. You can make them identical, or change them up with different eye and mouth shapes and different sized noses. It is all up to you. Get the kids involved and you will certainly have unique looking snowmen cookies to share. I’ve got a feeling that snowmen are like snowflakes, and no two are exactly alike! 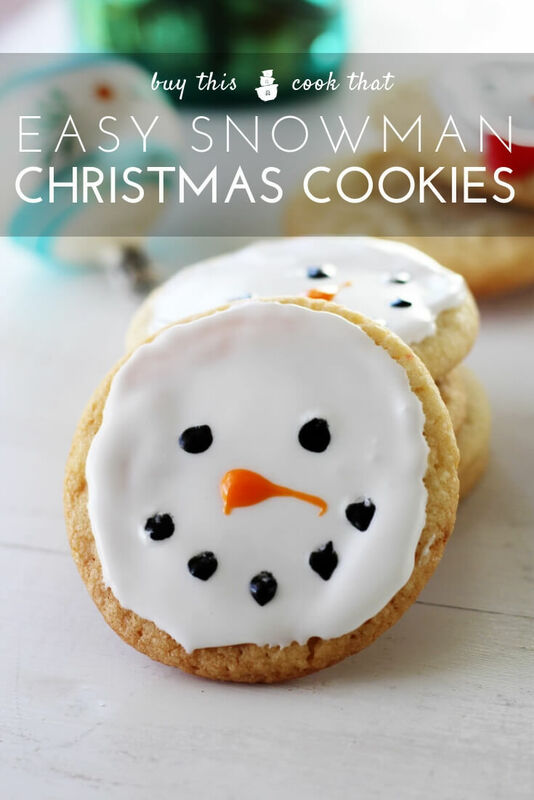 Also, check out this recipe for some more adorable snowman cookies. Be sure to cut your caramels to 1/2 inch size. 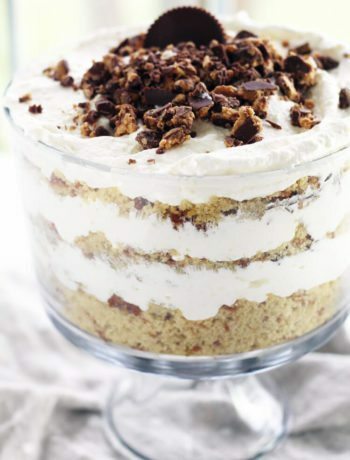 You want the filling to stay inside. Leave plenty of space (2 inches) between the cookies while baking. They will spread. Don’t overcook the sugar cookies. Use parchment paper to prevent sticking just in case. 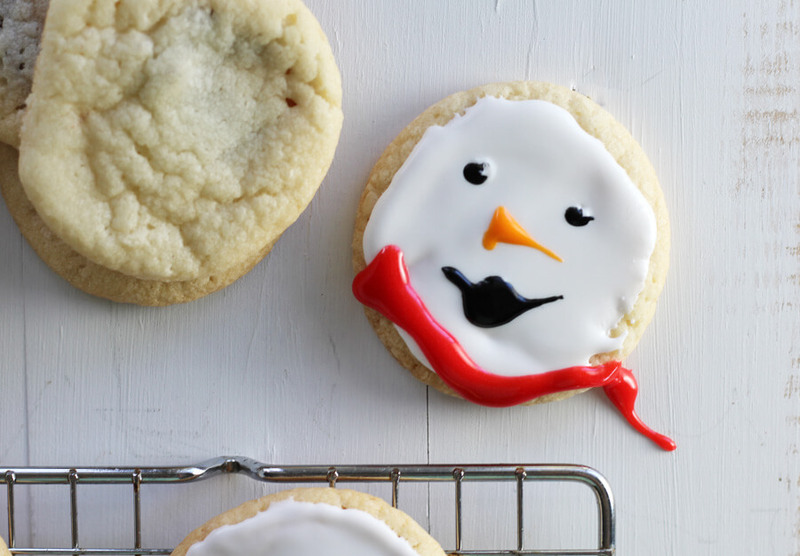 Let the cookies cool completely before decorating (or else your snowman’s face will melt). Have fun and be creative with your snowman designs! Some snowman cookies get hats. Some get scarves. But ALL Snowman Christmas Cookies get eaten! 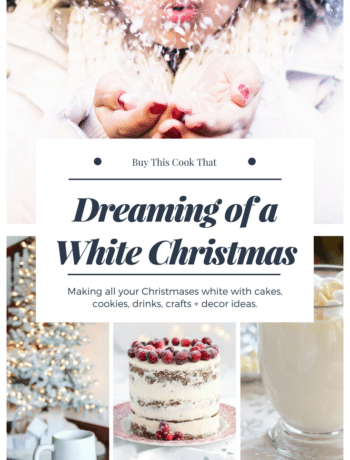 Visit Sam’s Club for more inspiration to create your own Holiday Baking Moments this season. Sam’s has everything you need to feed your masses, and it is all in one place. Do you want to build a snowman? 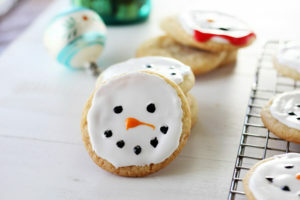 Or better yet, how about a batch of these Snowman Christmas Cookies? Stuffed with caramel, this recipe is a fun and easy twist on the classic holiday sugar cookie. Preheat oven to 350 degrees. See package directions for more details. Place parchment paper on a baking sheet. Cut caramel into 1/2 inch sized pieces. Press a caramel piece in the center of each portion of sugar cookie dough. With your hands, gently roll the cookie dough around the caramel piece, covering all of the caramel. Remove from oven and cool on pan for 5 minutes. Transfer to a wire cooling rack and cool completely, about 15 minutes. Decorate in snowman faces as desired. Store in airtight container. Looks so amazing and can’t wait to try it. Yes, girl, all about easy right now. I just found out my daughter signed me up to make bacon wrapped pineapple for 300 people at school!?!?!?! So I totally need this easy cookie recipe.